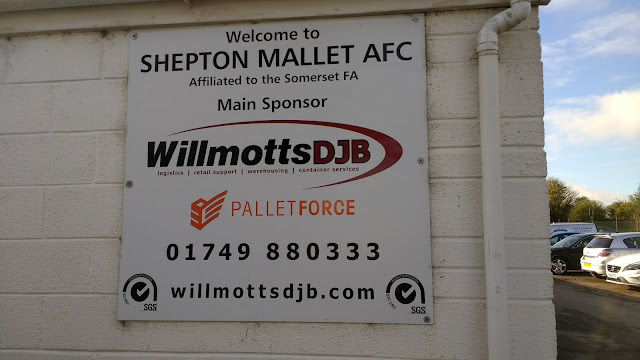 The club was established in 1986 following the demise of the former Shepton Mallet Town club. 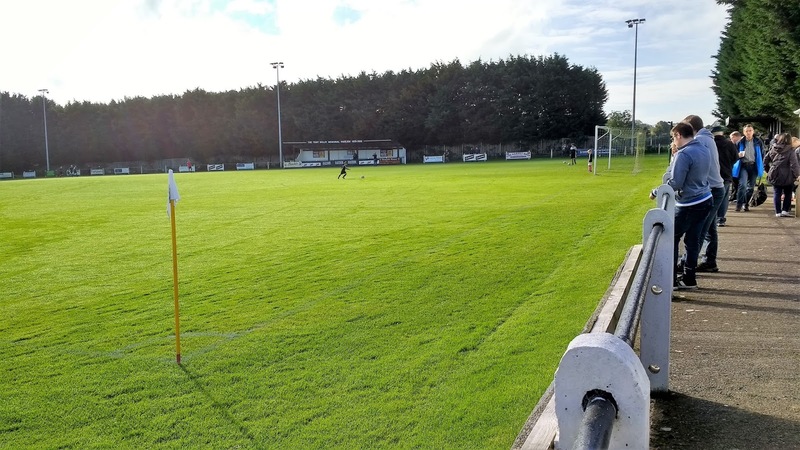 They took the reserves place in the second tier of the Somerset Senior League, earning promotion to its Premier Division. They'd stay there until 2001 when they were champions and took promotion to the Western League. They'd start out in Division 1 and despite a long spell of bottom-half finishes between 2003 and 2012, they won promotion to the Premier Division in 2014 after finishing as runners-up to Bradford Town. They've remained there ever since, with their best ever season coming in 2015 when they finished in 9th place. The FA Cup has provided few highlights, with just three wins in their 14 seasons of entering the competition. 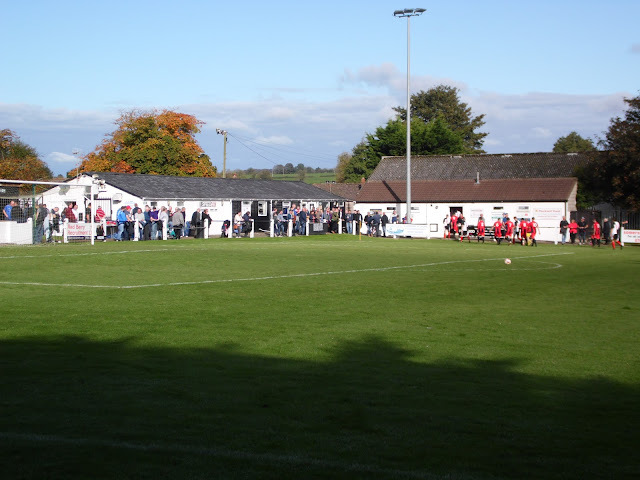 Shepton Mallet did make good progress in the FA Vase during the 2014/15 season. 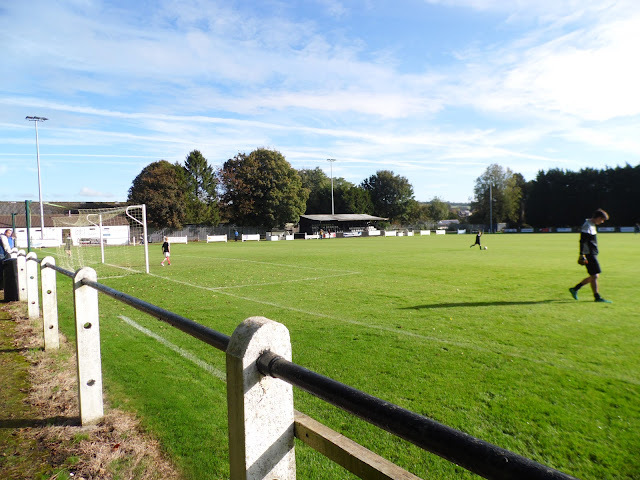 They beat Wadebridge Town, Brislington and Welton Rovers prior to a narrow defeat 3-2 at Melksham Town in the 3rd round. 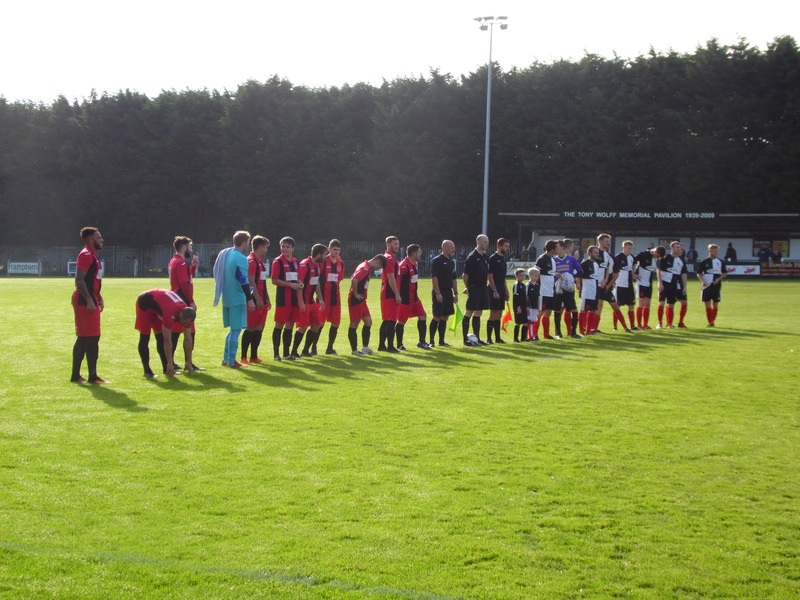 Local cup wins include the Somerset Senior Cup which they won in 1998. Famous people to come from Shepton Mallet include John Lewis who founded the department store of the same name. After a fairly decent night's sleep, I woke around 7 am. Unlike yesterday, when it was a bit rushed, I was well organised. I had a shower and a fresh change of clothes before putting my stuff in the car. 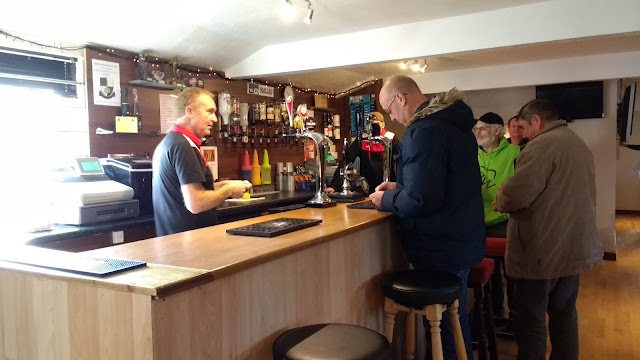 I then went out in search of breakfast, choosing to 'tick' the town's other Wetherspoons, the Dragon Inn. There, I had a traditional breakfast, with black pudding and a pint of orange juice. 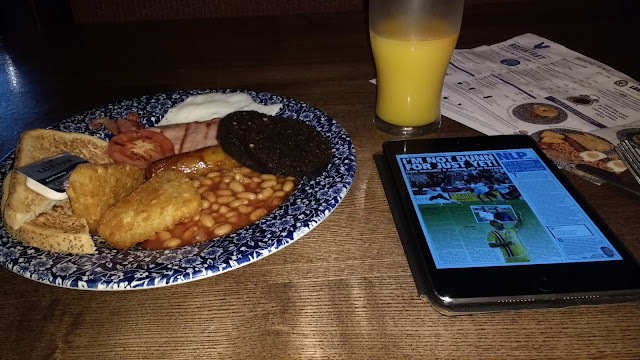 It all went down nicely as I started reading the Non-League Paper. Soon it was time to meet at our base to get the minibus for the final day of the Western Hop. 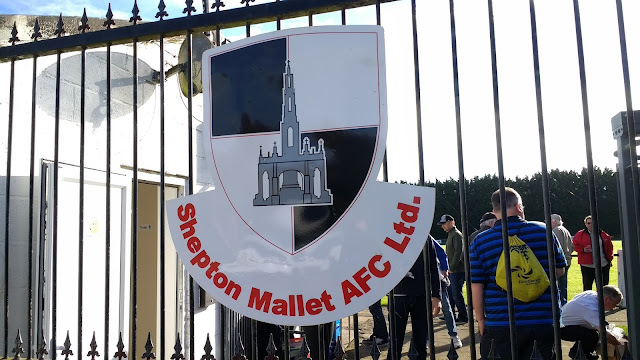 After leaving at 9, it was a fairly long trek over to Shepton Mallet, with us getting there around half an hour before kick off. After going in and getting some pictures, I went in the bar. With nothing special on the cider front, I opted for a Bovril before settling down near the halfway line. 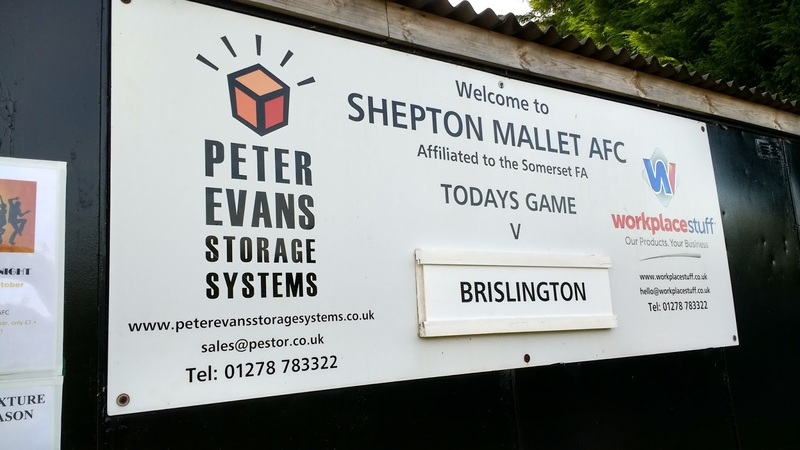 There was a noticeable slope on the pitch and Brislington chose to kick down it first half. They dominated early proceedings, without really troubling the home keeper. It was the hosts that went ahead on 20 minutes though, with their first real chance of the game. A cross was put in from the left and the ball was headed home from 6 yards by James Billing. Shepton had a good spell from there and after coming close a couple of times, they doubled the lead 5 minutes later. It was another cross, this time a low one. 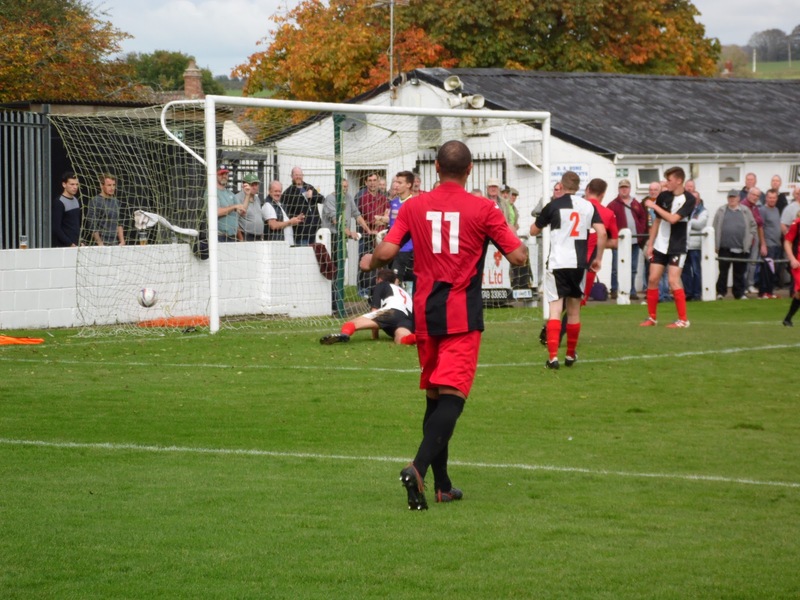 A Brislington defender failed to clear and Tyson Pollard poked home from 6 yards. 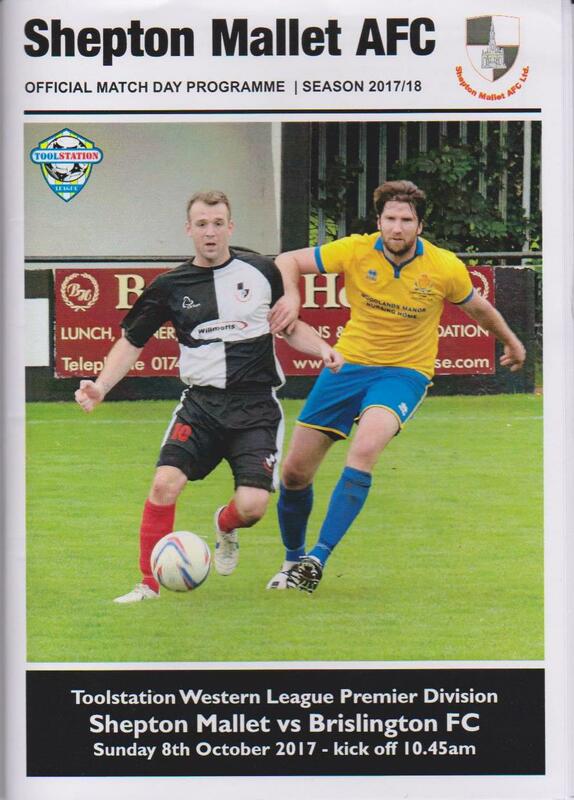 The hosts continued to have the better of the game up until the break without really threatening. Pretty soon after halftime, it was 3-0, another close-range header from Billing pretty much sealing the game for the hosts. This seemed to take the pace off of the game, with chances coming along a lot less frequently. Brislington grabbed a goal back with just over five minutes remaining, Danny Hunt poking home after some hesitation in the home defence. As the visitors tried to reduce the arrears further, Shepton Mallet sealed the game on the break, grabbing a 4th when James Billing got away and finished confidently into the top corner to complete his hat-trick. 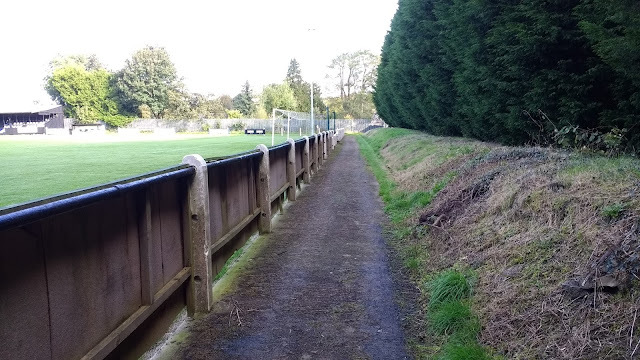 THE PLAYING FIELDS is a decent ground for step 5, with cover on 3 sides. 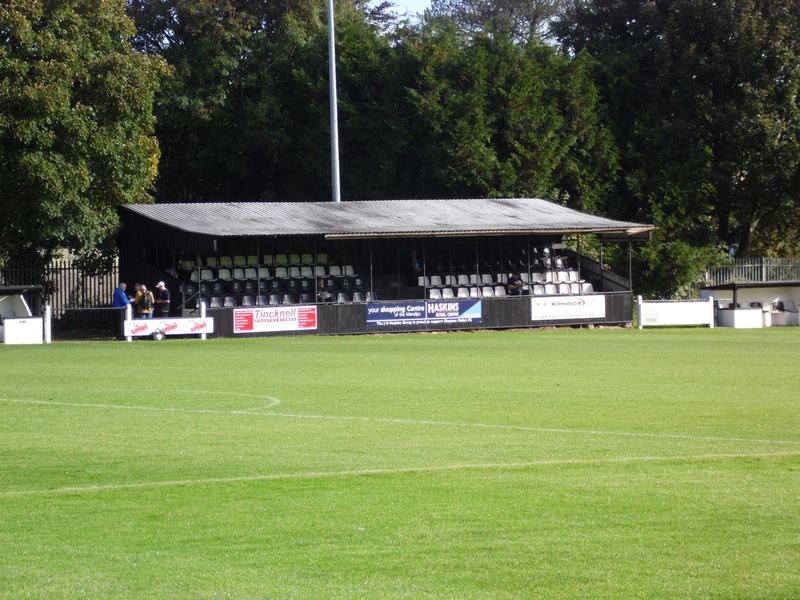 The oldest stand holds around 150 and sits on the halfway line. 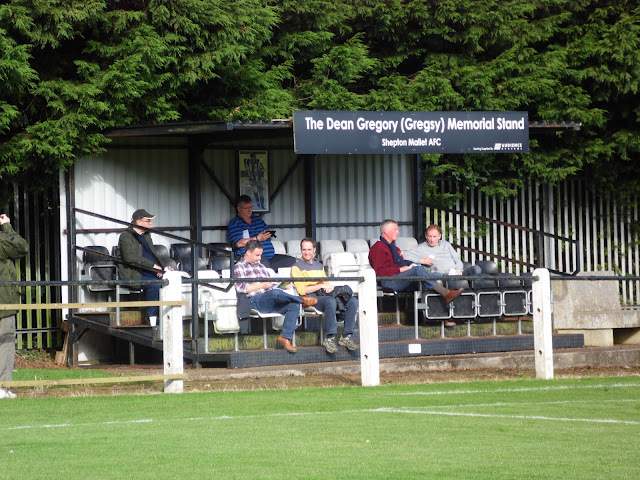 The other two stands are a lot newer and are dedicated to former club men. 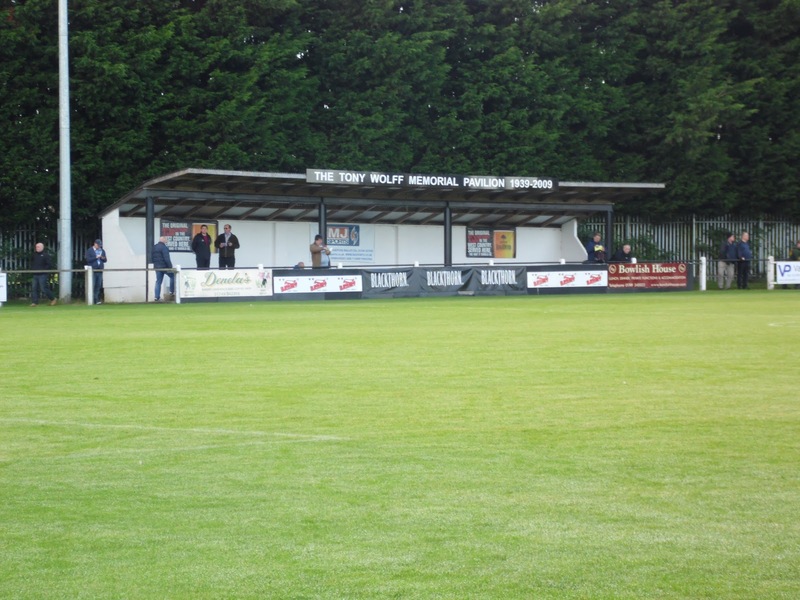 The Tony Wolff Memorial Pavillion sits opposite the main stand and has enough room for around 200 standing. There's also a new stand behind the goal, with seating for 50. This is dedicated to former player Dean Gregory who sadly died of cancer. 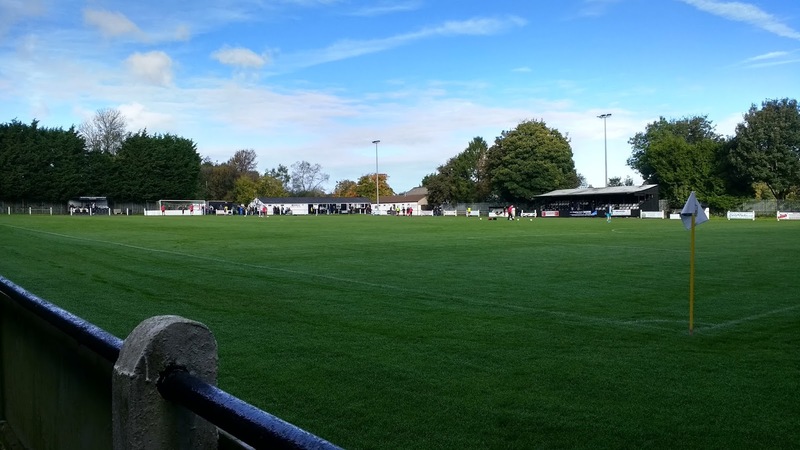 The rest of the ground is open. The tea bar and clubhouse offer the standard range of food and drink.